For most California small businesses, Obamacare means being forced to switch to a more expensive health plan with richer benefits. For groups on grandfathered plans, there may be only modest rate increases. And, for some groups, there are tax credits available if the business gets coverage through the Covered California for Small Business. In 2016 plan year and beyond employers with 50 or more full-time equivalent employees will be required to provide health benefits to their workers. Since small groups are exempt from the law, they are not penalized for not providing medical coverage. Though you as a business owner do not have to offer health benefits, you and your employees will be required to be on some kind of qualified health plan in order to avoid paying a penalty. Individuals and families who are not enrolled on a health plan that meets the minimum essential benefits requirements will be penalized. * The penalty increases yearly. In 2015, the individual uninsured penalty is the greater of $325 per adult or $162.50 per child, or 2% of the household income minus the minimum income required to file an income tax return. In 2016, the penalty goes up to $695 per adult or $347.50 per child, or 2.5% of the household income minus the minimum income required to file a tax return. Another option besides the traditional market is to get group health insurance coverage through Covered California for Small Business. Getting insurance through Covered California for Small Business has two advantages over the traditional market. First, if you enroll your group through Covered California, your company may be eligible for a Small Business Tax Credit, which will help reduce employer expenses, but be aware that most businesses do not qualify. Second, if you enroll through Covered California for Small Business, you can offer multiple health insurance carriers and still get only one bill. For more information, click Covered California Small Business program. 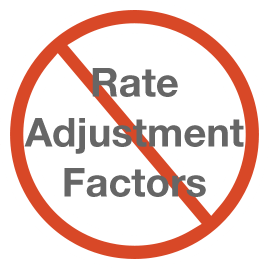 Rate Adjustment Factors (RAF) affect how much premium you pay for your group plan when it comes time to renew. With the passing of Obamacare, Rate Adjustment Factors no longer apply unless you are on a Grandfathered Plan. With no more RAF’s, this will give higher utilization groups a slight decrease in premium and lower utilization groups a slight increase. Should we drop our group coverage and switch to individual? You will want to choose whichever is most affordable. Group plans are expected to be less expensive. However, if your employees’ income is below 400% of the Federal Poverty Level, you may want to have them enroll on a Covered California individual or family plan and collect a tax credit. You may be able to drop group coverage, bump up your employees’ pay a little and find that both you and your employees save money. We recommend that you get quotes for both group and individual-family plans to compare the rates and see which option is more affordable. * Note: There are some exemptions from the mandate.